This is the second notice! We do not have a record at school of the following shots that are required for your child to start school in August 2019. Attention: Carla Crossland, School Nurse. 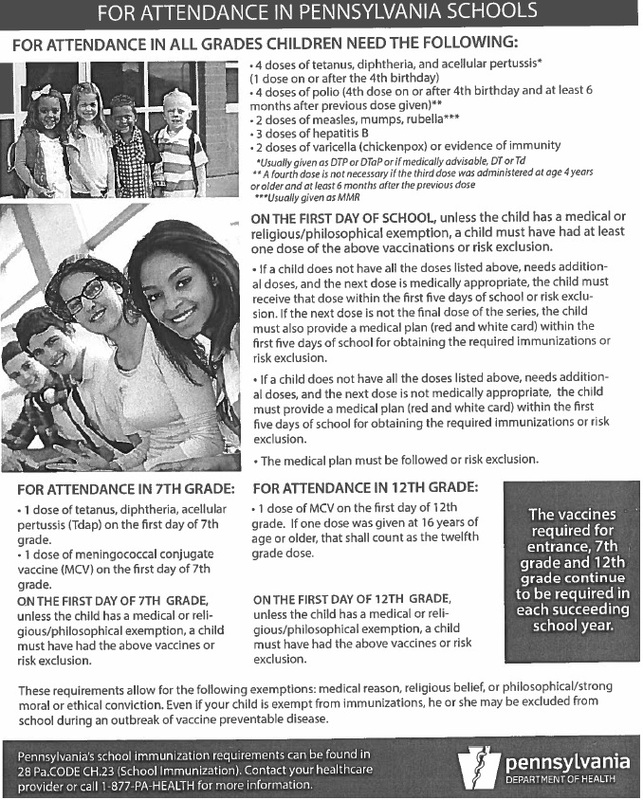 If you have concerns or questions, please contact the school nurse, the PA Department of Health or your child’s doctor.